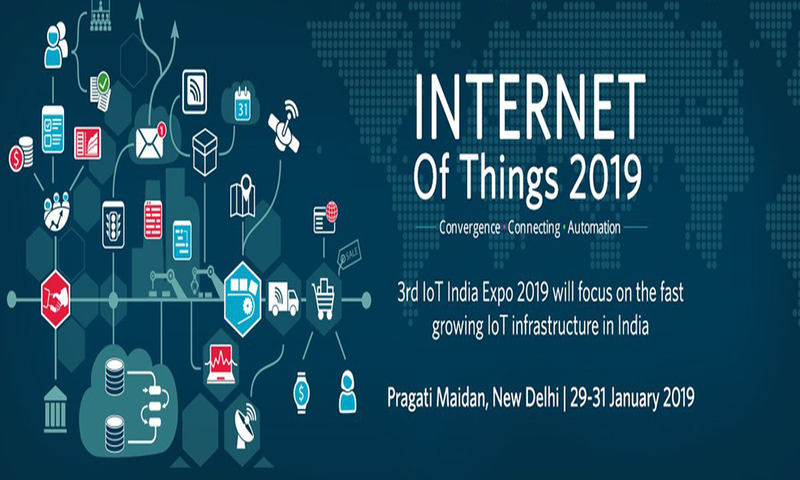 3rd Internet of Things India expo 2019 will be on 29th – 31st January 2019 at Pragati Maidan, New Delhi. The great industry expo 3rd IOT India expo 2019 will take place on 29th – 31st January 2019 at Pragati Maidan, New Delhi. This event will focus on the fast-growing IOT infrastructure in India and provide an opportunity for industry thought leaders and influencers to discuss the latest trends and disruptions impacting various industry verticals. This event will explore the latest innovation in IOT and innovations by brightest startups.